Are you having a clear out? Moving to a new house? Perhaps you’re undertaking home improvements or simply looking for reliable waste disposal? As a reputable skip hire company, Bolton Skip Hire can supply skips in all shapes and sizes, accommodating the requirements of all projects. We provide domestic skip hire Bolton for any home renovation or restoration projects, providing sufficient space to dispose of unwanted items. If you’re a business, looking for cost-effective waste disposal, look no further than Bolton Skip Hire. Our services are provided to offer a punctual, dependable and feasible waste management solution. Commercial skip hire is tailored to the requirements of businesses of all sizes, saving time, effort and money. Regardless of whether you’re looking to throw out recyclable or non-recyclable items, we can help you to dispose of waste effectively- we even arrange our skip hire Bolton services around you! The 2-cubic yard domestic skips are the smallest ones that we supply for skip hire Chorley (or any other area within the North West!) Although the 2-yard mini skips are much smaller than our other skips, they are ideal for when you have too much waste to throw inside your wheelie bin. If you need something a little bigger than this, we provide the 4-yard midi skips that are surprisingly spacious. Offering twice as much space to store waste, the midi skips allow you to dispose of large, bulky materials, including furniture. For garden projects, one of our maxi skips for skip hire Chorley could be just what you need! The 8-yard maxi skips are designed to incorporate a drop door which makes it easier for you to store waste materials in and keep the mess to a minimum. Providing you with much more space to dispose of waste, our 12 or 16-yard open skips can hold any lightweight materials. The larger domestic skips are not suitable for products that are large and bulky because they will make it virtually impossible for us to lift the skip onto the back of our fleets, upon collection. Check out our commercial skips here today. Prices for skip hire Preston vary depending on the size of the skip that you hire from us. 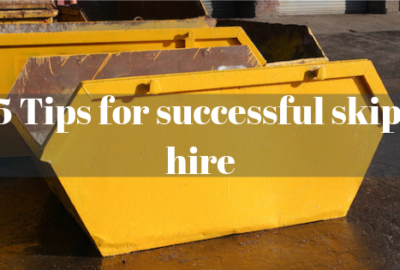 Other factors that affect the cost of your skip hire are linked to the size of your project. Here at Bolton Skip Hire, we consider no project to be too big or too small. When choosing skip hire Preston or Chorley, make sure that you plan your project in plenty of time to make sure that you choose the right skip. If you need to hire your skip for longer, feel free to discuss your requirements with our team of experts, we may be able to provide longer skip hire periods, on request. 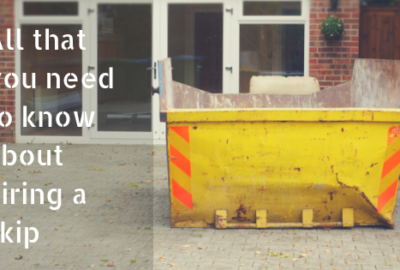 Needless to say, smaller skips are often cheaper than larger ones but ordering a skip that’s too small won’t save you money in the long run! As with anything else, it’s always better to have more space than you need, try to choose a skip that is slightly bigger, this will essentially eliminate the chance of your skip being overloaded and refused by our fleet drivers. What can’t you put in your skip? 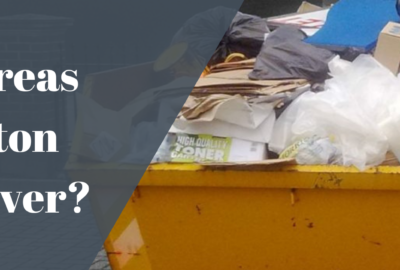 If you’re not entirely sure whether an item can be put in the skips that we provide for skip hire Wigan, ask us at Bolton Skip Hire and we will be more than willing to provide you with any information that you require. Any skips that contain unauthorised items can be refused collection, meaning that you’ll either be charged for the excess waste to be removed or you’ll need to order a new skip to store the surplus. 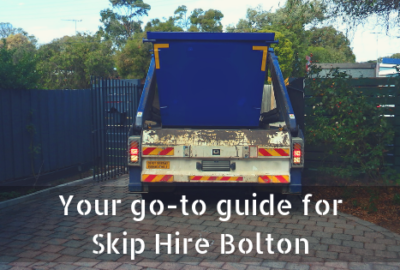 In choosing Bolton Skip Hire for your skip hire Wigan, we make sure that you know exactly when and where your waste will be transported. When we collect skips from your property, we take care of the waste held inside, ensuring that as much as possible is recycled. At Bolton Skip Hire, it’s our aim to recycle up to 90% of the contents found within the skip, essentially reducing the volume of waste sent to landfill. When loading your skip, we recommend keeping hazardous waste and other dangerous materials separate from the rest of the waste within your skip, this will ensure that there is no compromise made to the recyclability of the waste. Your skip hire Wigan or skip hire Leyland needn’t be stressful or expensive! We offer skip hire Leyland to offer an affordable alternative to driving waste back and forth to the local tip. Our local skip hire services allow you to dispose of as much or as little waste as you need to, making it more convenient for you and allowing you to complete your project in plenty of time. With skip hire Leyland, you are not only held responsible for the skip but for the contents stored inside it too. Where you choose to leave your skip is something that requires careful consideration; we tend to deliver our domestic skips to your driveway but skips that are stored on the road will require a permit. This permit states liability for the skip, allowing you to legally dispose of the waste generated from your project. To make it easier for you, we can obtain the permit on your behalf, saving you the time and effort but ensuring that you have the appropriate documentation for your skip hire. 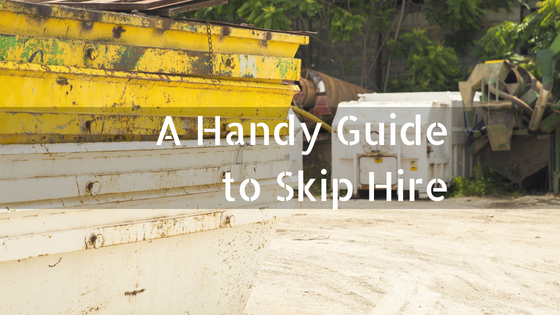 If you need to know more about skip hire, be sure to give us a call on 01204 383737!